Our Kemptville grads are always busy trying something new! In August of 2014 after closing Classique Bridals, Kim Link ‘69 wanted to try something different. 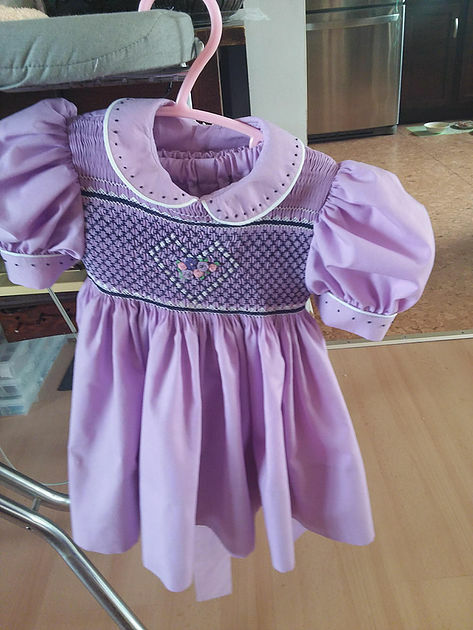 She took some private smocking lessons and she was hooked. The first picture shows one of her latest creations for a special little girl for Easter. Children in Ontario, Western Canada and United States are wearing her original creations. 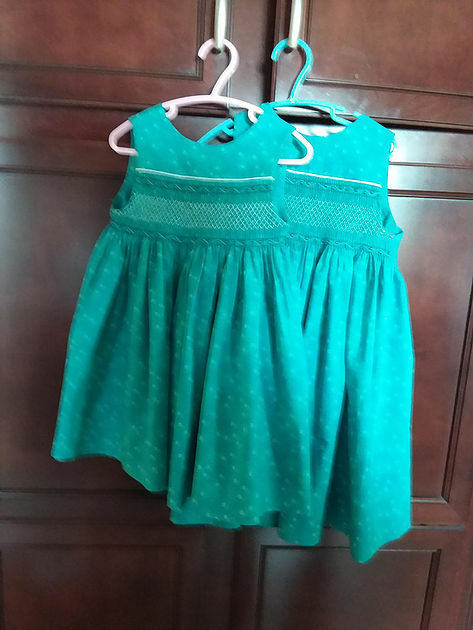 The other picture shows dresses that a lucky set of twins will be wearing this summer. Keep up the great work Kim!